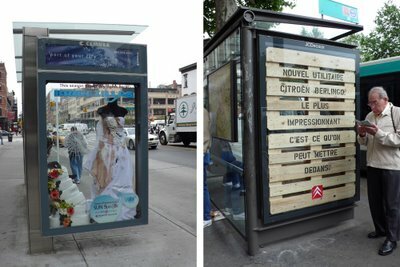 The image on the left is from a NYC bus shelter ad and the one on the right is from a Parisian bus shelter ad. 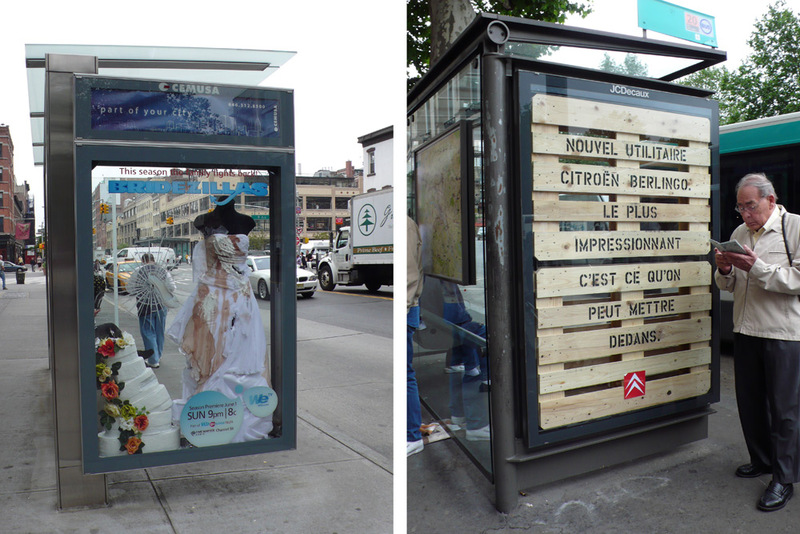 Its interesting to note how global ad culture really is evolving as one. Despite the differences in products and possibly advertising companies, the tactics are relatively similar. Advertising spans all cultures as the dissemination industry no capitalist nation can do without and is thus more or less a global product.